We have this week downloaded the latest 3D modelling suite from Autodesk – Autodesk Inventor Suite 2016 Premium. The following is an excerpt from the official Autodesk site giving an overview of the softwares capabilities and upgrades. enables you to break through boundaries typically associated with 3D modeling, delivering an invaluable connected design experience between you, the data, people, and processes involved in getting your job done. 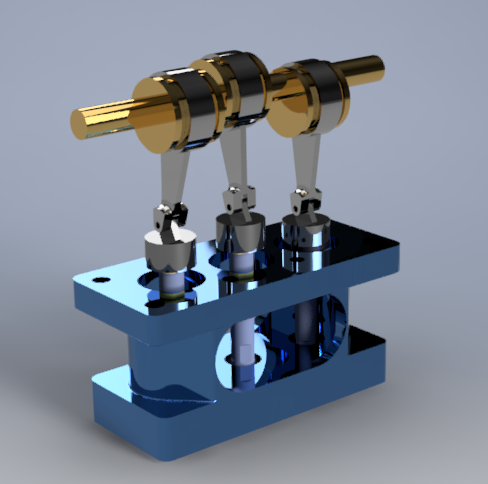 From providing seamless parametric, direct editing, and freeform design tools, to associatively connecting your Inventor data to non-native CAD formats, to truly integrating your electrical and mechanical data into a single design – Inventor 2016 helps you connect with your design like never before. New Technology for Importing Files from other CAD Systems. An associative import of CAD data from CATIA, SolidWorks, NX, Pro-E/Creo, and Alias files allows you to maintain a link to the selected file. The imported geometry in Inventor updates as the model changes. 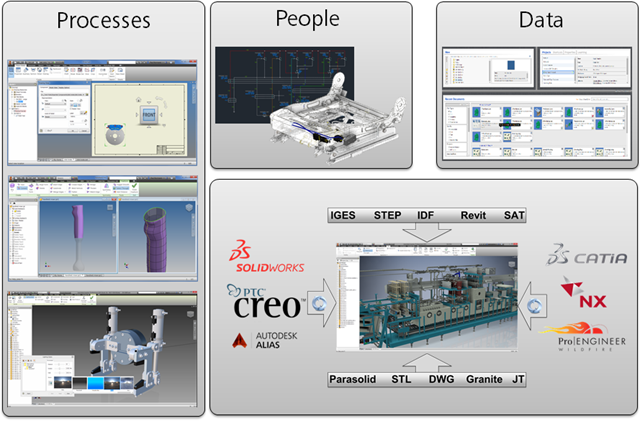 Selective import support allows you to only read in the geometry that is important to you, speeding the import process: The new Select tab provides you the option to specify which objects to import when importing a CATIA, SolidWorks, Pro-E/Creo, NX, Alias, STEP, IGES, or Rhino file. Multi-thread support has been enabled. This allows Inventor to more efficiently use the available hardware on which Inventor is running. As a result, you will experience improved performance when working on files from other CAD systems. The options for importing CATIA , SolidWorks, Pro-E/Creo, NX, Alias, STEP, IGES, Rhino, SAT, Parasolid Binary files are simplified and provide clear choices for import. Quickly insert an AutoCAD DWG file in an Inventor part file as a DWG underlay using the Import command in the 3D Model tab, Create panel. You can add assembly relationships to underlay geometry. Use the Project DWG Geometry command to project DWG geometry, polylines, open or closed loops, and DWG blocks. Then you can use the projected sketch elements to create modeling features. Your 3D Inventor models based on the DWG geometry update when the 2D geometry changes in AutoCAD. The new Electromechanical link between Inventor and AutoCAD Electrical provides a smooth data exchange between your 2D and 3D electrical designs. When you create a link between an AutoCAD Electrical and an Inventor assembly (not available in Inventor LT), the project files become associative: Design data changes made in one product are updated in the other via Sync. The Location View command on the new Electromechanical tab on the Assembly (not available in Inventor LT) ribbon in Inventor displays the devices and wiring contained in both the AutoCAD Electrical Drawings and Inventor Assemblies. Work with open surfaces or closed shapes. Convert existing model faces to freeform geometry for shape refinement. The new Freeform Thicken command creates solids, offset surfaces, or shell walls. Unweld edges to split and move a freeform body segment. A new environment is added that lets you position and orient your design within the print space of the selected 3D printer. You can also update the part in the print environment that does not impact the source document. When you are finished, you can send the results to Print Studio or other printing software to begin printing the part. Drawing view creation is simplified, and uses in-canvas tools. Text formatting is expanded with new options: Bullets and numbering, strike-through text, enhanced formatting (all caps, title case, lower case). Surface texture and feature control frame symbols are updated to the latest standards. Many new graphical symbols are available, and can be inserted in various types of drawing annotations. Balloon styles can use custom balloon shapes. A new Single Segment Leader option allows you to create drawing annotations with a single leader segment. You can align drawing annotations vertically, horizontally, or to an edge. Create a view sketch on a model with included work features and select those work features with the Project Geometry command. A search and filter feature in the Sketch Symbols Library dialog box. Preview the sketch in a preview pane within the dialog box before placing the sketch. Browser expansion state remains throughout session when placing sketch symbols. A Sketch Symbol Library can be created in IDW and DWG formats, allowing insertion of symbols contained within the library file from either format. Save your sketch symbols to a customized library. 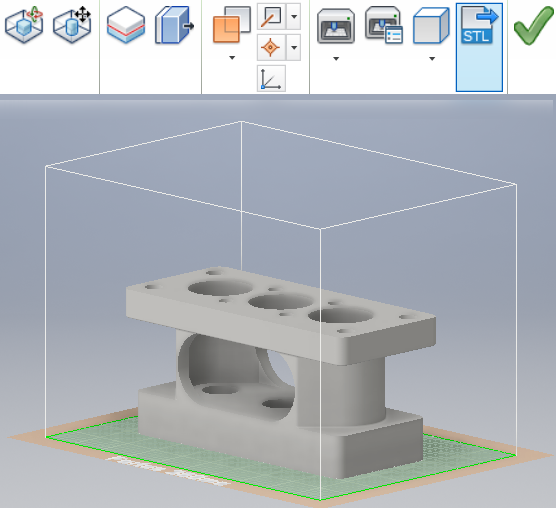 The new start-up and learning experience combine to make learning and using Inventor faster and easier. Movable and resizable Inventor Home panels. Home provides greater access to common file tasks. Files can be removed from the recent documents list. Vault status is displayed in the recent documents list. Create custom shortcuts to provide fast access to frequently used files and locations. Help content was edited to provide better search results. Topic content was combined to reduce the number of clicks. ALL lighting styles in Inventor Studio are now associated with an IBL. A lighting style can have zero local lights but must have one IBL. IBL (Image Based Lighting) based lighting styles provides better lighting sources in Inventor Studio with enriched IBL collection. When you enter the Studio Environment, all legacy local lights are now disabled by default. It is recommended you use IBL for better rendering results . You can turn on specific local lights manually when necessary. All newly created lighting styles are associated with the default IBL automatically. You can change the associated IBL to another IBL as desired. The enhanced visual effect for shaded visual style makes it more consistent with the realistic visual style. The rendering engine in Inventor Studio was changed to RapidRT with advanced configurations for better quality rendering. The Studio Render Illustration settings have been moved to the View tab Appearance Panel Visual Styles drop-down menu. The new and enhanced Technical Illustration command creates a realistic illustration effect in the graphics window. Use Escape (Esc) key to cancel an operation in select processes. Multiple productivity enhancements made to dialog boxes. Add all window tile styles to the task bar. Dock an Inventor browser on any application’s window edge. Hide all sketch dimensions now available in the Object Visibility menu. Import/Export external rules configuration for iLogic (not available in Inventor LT). Multi-body support is added to sheet metal. Support for zero bend radius is added to many commands. Material thickness is detected when you convert a part to a sheet metal part. Punch tool shows a count of the center selections. A new Use color override from source component option has been added to the Derived Assembly (not available in Inventor LT), Derived Part, Make Part, and Make Component dialog boxes. 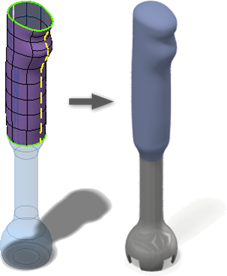 Selecting this option pushes the Part appearance and body, feature, or face color overrides to be pushed from the derived part to the new part. You can now customize file names for fittings and populate part numbers into your parts list within the drawing environment. Previously, you could only change the name of your conduit items, but now you can update fittings as well. Face draft contains powerful new options that let you Fix or Move the parting line. Ruled Surface is added to the surfacing commands. The Mirror and Pattern commands support multiple solid body selection. Previously, nonlinear patterns of a solid body in a multi body part file have not been possible. You can now create nonlinear patterns for solid bodies. Drag a sketch above the parent feature in the browser to share it. The Measure command now allows you to measure an angle to the midpoint of any segment. This option is achieved by hovering your mouse over the midpoint of a segment until a yellow dot appears. Identify which workplane or face a sketch was created on. The selected Show All or Hide All Constraints display setting remains active as you sketch and throughout your editing session. You can now create tangent dimensions between circular or arc geometry within a 2D sketch. The Initial View Scale property of the first drawing review placed on the sheet is added in the Sheet Properties group within the Format Text dialog box. The Sketch Dimensions option is added to the Object Visibility list. Select this option to display 2D or 3D sketches and hide all related sketch dimensions. Sharing a sketch is made visible by dragging above the feature in browser. New snap points added to the context menu: Endpoint, Apparent Intersection, Quadrant, and Mid of 2 points. You can now modify Start Sketch and select a view or sheet before sketching. New safety factor calculation warning displays in Stress Analysis. The Midplane option has been added to the assembly Pattern command. Select the Midplane option to create a pattern distributed on both sides of the original component. Replace All feature available for highlighted components within an assembly. Select multiple sick constraints within Design Doctor to delete. You can start a drawing from any open model, and automatically apply the current model camera and representations in the base view. In-canvas tools in the Base View command simplify creation of a base view and projected views. For example, you can use the ViewCube to orient the model, set the view scale by dragging a view corner, or adjust projected views while creating the base view. Tweak command is redesigned to use direct manipulation tools. Creating and editing of trails is easier. Auto Explode command is added to the ribbon and improved. Nova’s software will be installed over this weekend and we’ll provide real world feedback over the coming weeks.